This website began as the conception of Lynn Spellman of Sweet Springs with the domain name lynnside.com. Around 2003 she decided to create a website about Lynnside, the place that she loved and at the time owned and lived across the road from. Her web site told the story of Lynnside and the family who built it and the successor families that owned it. It told the histories of those families and recorded the genealogy of those families. Her site also told the story of the Sweet Springs Valley and the history of the Sweet Springs Spa, commonly known as "The Old Sweet." In 2007, Lynn began posting her web site hosted by a web provider based in Michigan. She spent many hours working on it. Jim Glanville (JG) corresponded with Lynn via email in October 2010 after he found Father Harry Winter's article about Letitia Preston Floyd posted at Lynn's site. Father Harry had been a missionary priest in Monroe County in the 1980s and he and Lynn collaborated in getting the Lynnside Historic District being so designated. Lynn maintained her site until about 2013. However, by that year her health had declined and she was not longer able to work with computers. JG discovered that lynnside.com had gone off line in late 2013. In February of 2014 he met with Lynn (for the first time face-to-face) in White Sulfur Springs. Lynn signed over the rights to her web site to him. Working with her web provider, JG was able to briefly get lynnside.com back on line for a couple of months. Unfortunately, in June 2014, the site again went down as its domain name had expired. On 15 August 2014 (in conversation after the Mass at St. John's Chapel) Lynn and JG decided that whatever of Lynn's work that could be recovered should be moved to the new web site lynnside.org that JG would bid to get. He got it, and the site lynnside.org went on line about 5:00 pm on 18 August 2014. Lynnside.org will preserve much of Lynn's work (some of which, especially her genealogy files has proved difficult to recreate). 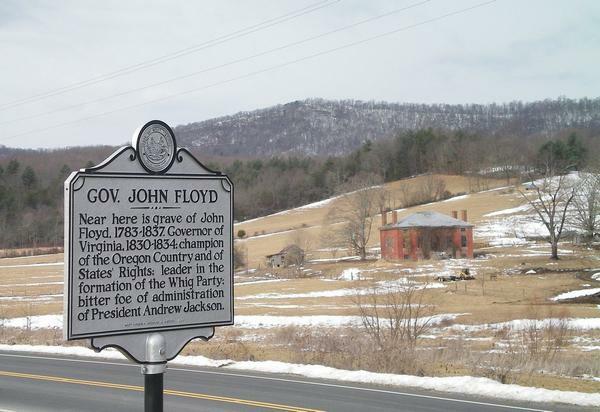 It will expand to tell the history of Sweet Springs, the Scotch-Irish pioneers of Virginia (such as John Lewis of Augusta), the history of Governor John Floyd and his wife Letitia Preston, and the history of early Catholic Virginia. JG considers that these are stories that need to be told and need to be more widely appreciated. He enjoys being able to make his own small contribution to that effort. JG used the "Wayback Machine" at www.archive.org to recover Lynn's files. Recovery was incomplete, because the machine's earliest archive is from April 2013, and by that time many of her genealogy files had disappeared off line. Nonetheless, this archive is a exceedingly useful resource. For example the extinct www.wilsonlewisfamily.com site (that Lynn linked to from her home page) can be readily examined by Waybacking it. To work with HTML code (which he only slightly understands), JG uses Lotus Word-Pro (which he has used for over 20 years from the days of its Ami-Pro antecedent) and the year-old version of Mozilla's freeware Blue Griffon, update 1.7.2. JG's site lynnside.org is hosted at Blackburg.net, which JG has used for more than a dozen years, and JG transfers files there using FireFTP. Jim Glanville, 23 August 2014. To go to the table of contents of this site click. To go to Lynn Spellman's old home page click.